Hajduk Split are a Croatian football side who currently play in the First League of Croatia. Founded in 1911, Hajduk are one of the most successful clubs in Croatia having won six league titles since its inaugural season in 1992. 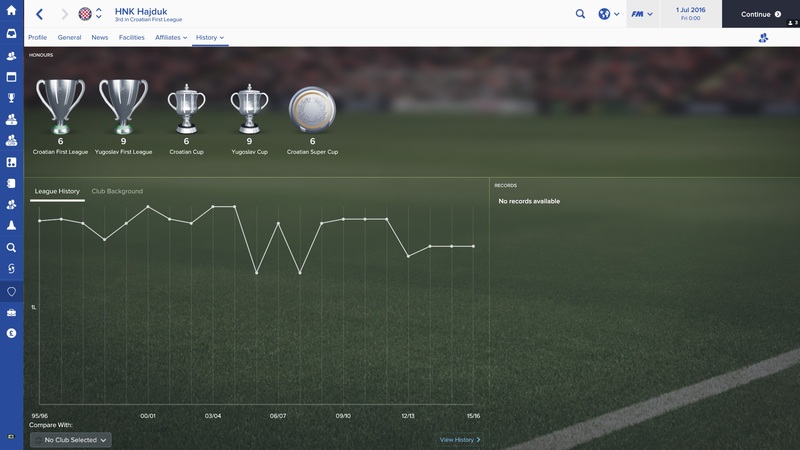 In Football Manager you will take over the side who haven’t won the top tier title in over ten years. Essentially the Croatian Arsenal then. Choose Hajduk and you will take on a squad who are capable of growing and developing into a real force domestically. Cameroonian striker Franck Ohandza joined Hajduk back in 2015 but has yet to become a first team regular for the club. Can you get the best out of him? 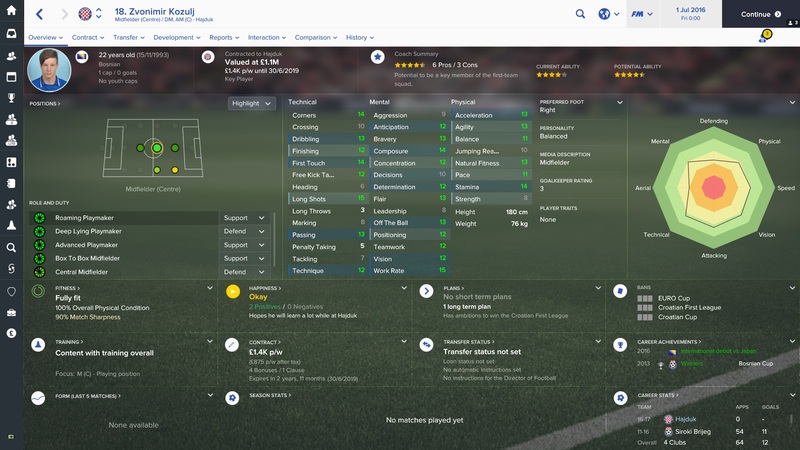 He has decent attributes but will struggle to impose himself against stronger defenders. As a lone striker he could find it difficult to make an impact. Brazilian defensive midfielder Jefferson has some pretty good all round attributes. You may choose to play him in his natural DM position, however his stats allow him to play as a CB more than adequately. 22 year-old Bosnian Zvonimir Kozulj is one of the shining prospects and best players in your squad. He is a centre-midfielder who plays naturally as a roaming playmaker but could easily play well in most CM roles. 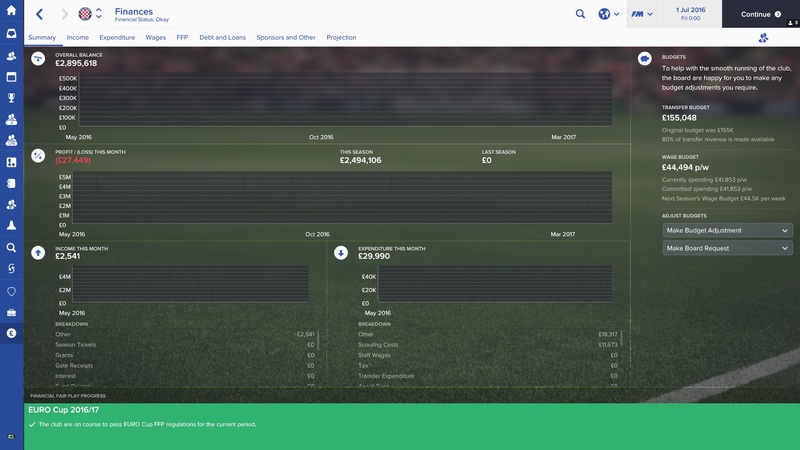 He has three seasons left on his current contract, make sure you tie him down for his best years! Rather than pick out three of Hajduk’s best hot prospects, it seems more appropriate to show how much potential there is in the squad. We’ve already highlighted Bosnian Kozulj above as one of the better players at the club. But there are at least 16 other younger players with potential of either reaching or exceeding his ability. With ‘okay’ finances and a low transfer budget, you will rely on continental qualification prize money for your main income. It will be crucial to how quickly you can progress as a team. In the short term, focus on loan players or free transfers and aim to keep your wage bill as low as possible. As mentioned earlier, Hajduk Split have not won the league since 2005. Your goal is to take this team to the top by dominating domestically. 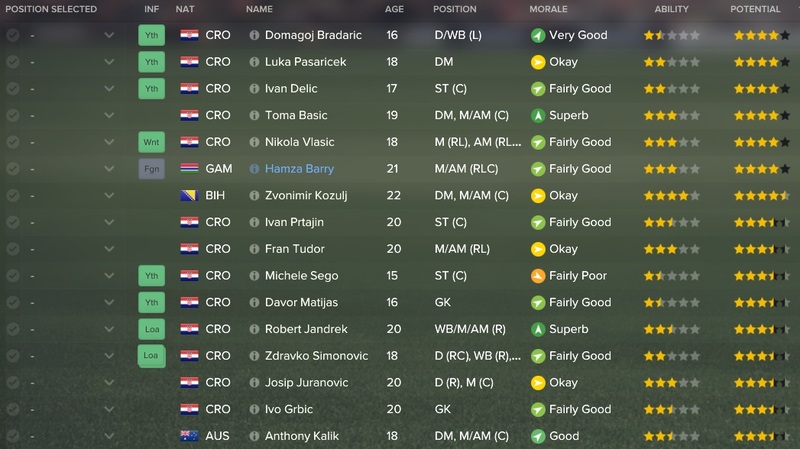 Overtake your rivals Zagreb and take the title of the greatest team in Croatia. Having won domestic dominance, your challenge is to mount a bid for European success. Can you take Hajduk to a major European title? Thank you for reading our club guide to Hajduk Split. I hope it may have inspired you to begin a save with the Croatian club. 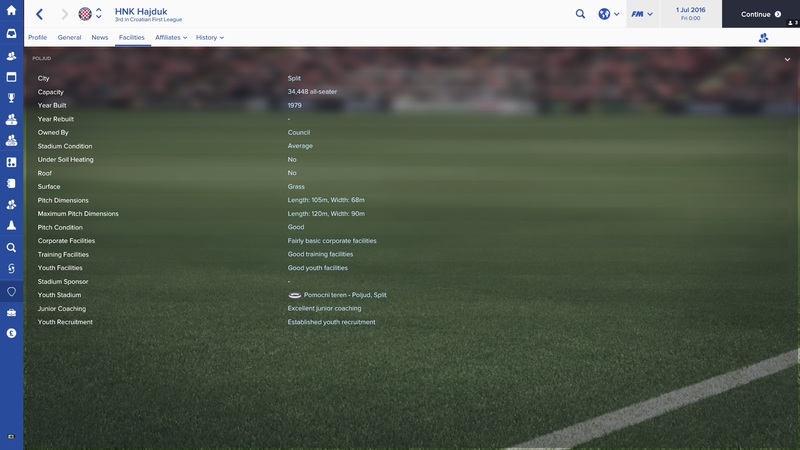 This entry was posted in FM Guides, FM17 Guides, Experiments & Wonderkids, Football Manager 2017 and tagged croatia, europe, FM Guides, fm17, football manager, franck ohandza, hajduk split, jefferson, zvonimir kozulj. Bookmark the permalink.